Webber signs for KL Minardi Asiatech! MARK WEBBER has signed for the Minardi team - and will make his Formula 1 debut at the Australian Grand Prix in Melbourne on March 3. The news was announced this evening in London by Minardi team boss Paul Stoddart, another Australian. Webber, from the New South Wales town of Queanbeyan, which is close to Canberra, has been racing since he started in karting in the early 1990s and then ran his own Formula Ford program in Australia in 1994 and 1995. 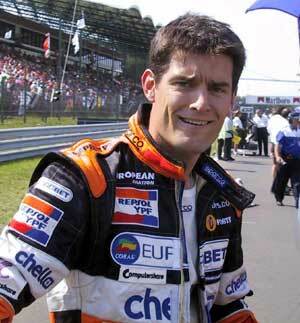 Webber then took a risk and headed for Europe for the Formula Ford Festival. He convinced Van Diemen boss Ralph Firman to lend him a car and he did well and in 1996 Firman signed him to drive in the British Formula Ford Championship. Webber won the Festival but had no budget to move up in 1997. He managed to scrape together enough money to do a season of British F3 with Alan Docking Racing and impressed by winning a race and finishing fourth in the championship, despite having a tiny budget compared to the bigger operations. This drew him to the attention of Mercedes-Benz Motorpsort boss Norbert Haug and Webber was signed to drive a Mercedes sportscar in 1988. "That was the best schooling," says Webber. "We had two programs: there was the Le Mans 24 Hour car and the normal GT car and we did thousands of miles of testing. At Le Mans in 1999 Webber hit the headlines when he had not one, but two enormous flips in practice for the 24 Hour race. He emerged shaken but unhurt from both 180mph shunts. "After that I decided I wanted to get back to single-seaters," says Webber. It was not easy but Eddie Jordan introduced him to Paul Stoddart, who was building up a Formula 3000 team at the time and Stoddart, an aviation millionaire, agreed to pay for Webber to race Formula 3000 in 2000. Webber finished third in the International Championship for the European Aviation team but hopes of a Formula 1 test with Arrows were dashed because of contractual problems. Webber had done enough to interest Benetton and a three-day test at Estoril impressed the team sufficiently to sign him up as the test driver for 2001 and to pay for his Formula 3000 program - with Super Nova Racing. Stoddart was not impressed. Webber finished runner-up to Justin Wilson in F3000 last year and Stoddart decided to bury the hatchet to help his countryman in F1 this year.